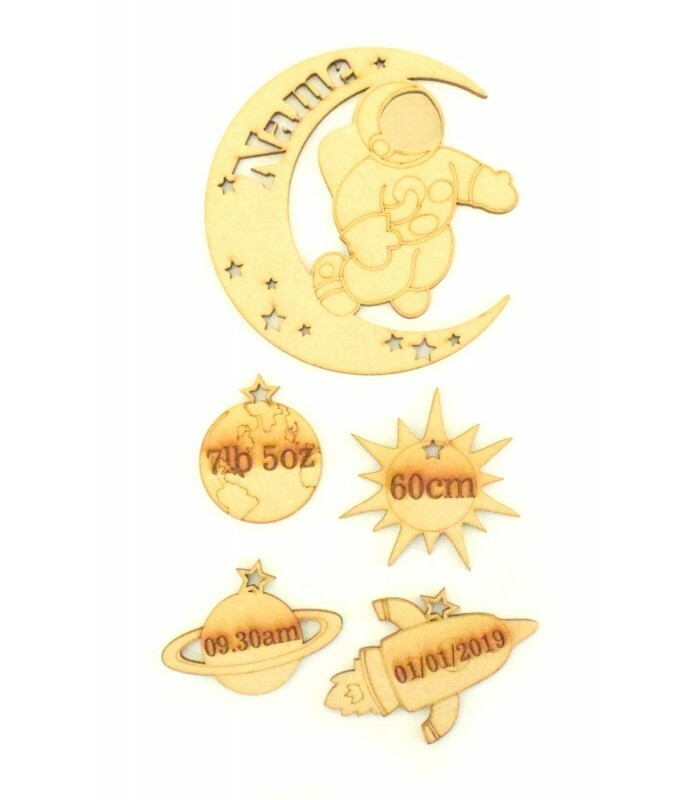 Personalised baby birth details hanging from a moon shape with astronaut which can also be used as a photo frame. The birth details are engraved onto space themed shapes which hang underneath each other. The moon can be personalised with any name of your choice.